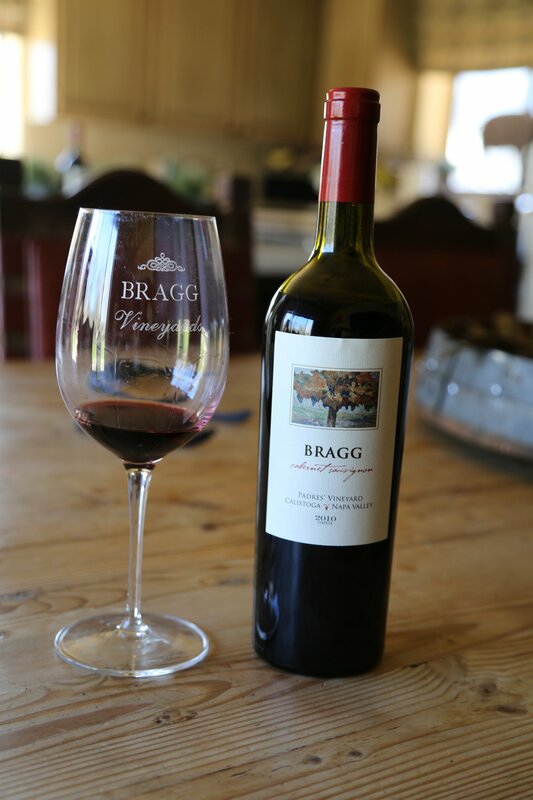 Bragg Vineyards is a tiny property in Calistoga purchased in 1995 by Bob and Anna Marie Bragg. Bob was a lawyer at the time in San Francisco (where he was born and raised) and wanted a weekend place to enjoy in the country – away from the urban life and stresses of legal matters. He purchased 4.5 acres in 1995 from an Italian couple who already had a small vineyard on site – and were at the time, making their own home wine. For more then 10 years Bob would come up on the weekends to manage his vineyard and as he puts it “feel the stress of his job slipping away as he drove up Highway 29”. Even today after being retired from law, he calls this property his therapy. It is also clearly his passion – something that he gets excited talking about, after 20+ harvests. For a number of years, he sold fruit to several well-regarded wineries including Chateau Montelena and Von Strasser. He has made wine from the property since 1995 – 2008 was his first commercial release (not necessarily an easy year for your first commercial release – they lost 80% of the vineyard production to a terrible frost) and the economy was struggling. Today he maintains two separate vineyard blocks – one named Mario’s Vineyard and the other Padre Vineyard. The original vines on site were planted in 1983 but Bob has since had these replanted. Conveniently he was able to bond a building next to his home as a commercial winery and makes all the wines on site himself. 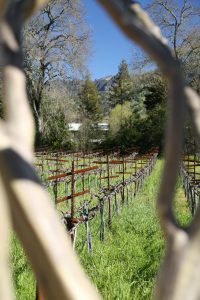 The vineyard is in a fairly unique zone – it is slightly north west of downtown Calistoga – where the residential part of the town starts thinning out and vineyards become more prominent. 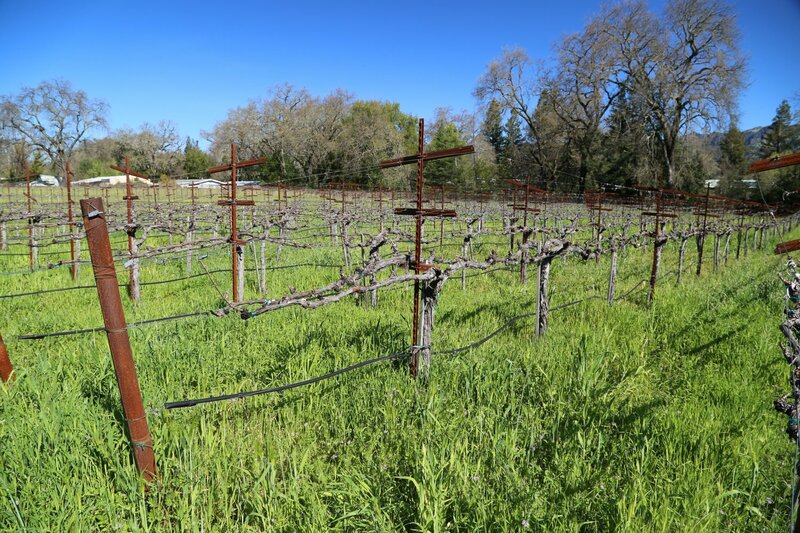 It lies between two riparian zones – surrounded by water on three sides including Cyrus Creek and the Napa River. As a result the soils are alluvial and deep. There are several reasons why Bragg Vineyards is unique across hundreds of producers and wineries in the Napa Valley. 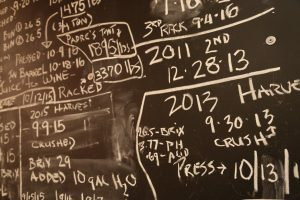 Their production is certainly one of the lower ones in the valley (especially for those who have a physical winery) – usually only between 100 and 125 cases each year. Bob also tends to hold his wines in barrel longer then typical. When making home wine he was not yet retired from his law practice and wasn’t able to dedicate as much time to bottling – therefore the wine would spend more time in the barrel. 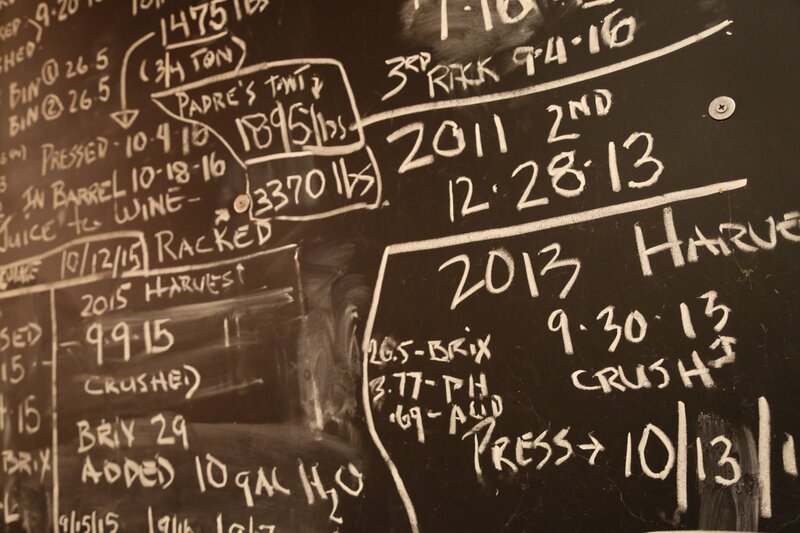 Noticing the pleasing result of this extra time in oak – he continued to practice this after becoming a bonded winery. He then holds the wine in bottle up to a year before releasing. Other then when needing to prune or pick, Bob does all the work himself – both out in the vineyard and the wine making. 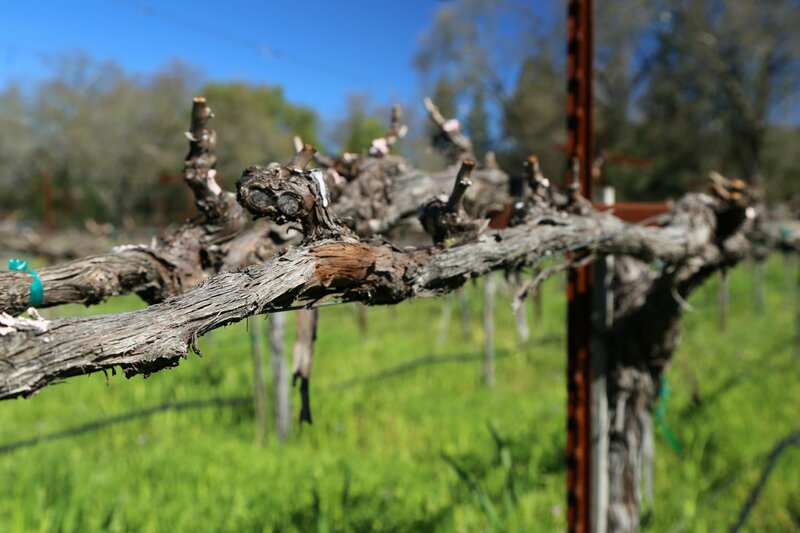 He has learned the craft himself (took a few viticulture classes at Napa College) but when you are surrounded by the breadth of knowledge found in the Napa Valley there is no shortage of winemakers and viticulturists you can talk to for advice. When picking grapes or hauling barrels he makes use of his trusty and reliable 1960 Ford F-350 flat bed. He makes two wines each year; one from the Padre’s Vineyard and from Mario’s Vineyard. He brings in no outside fruit for his wines and all the wines are 100% varietal Cabernet Sauvignon. Bob enjoys the types of wine his vineyard produces – with good acidity and well-integrated tempered tannins. He uses about 25% new oak along with the balance being neutral (both French and Hungarian oak). And he racks a number of times each year so all the wine sees a similar percentage of new versus used barrels. 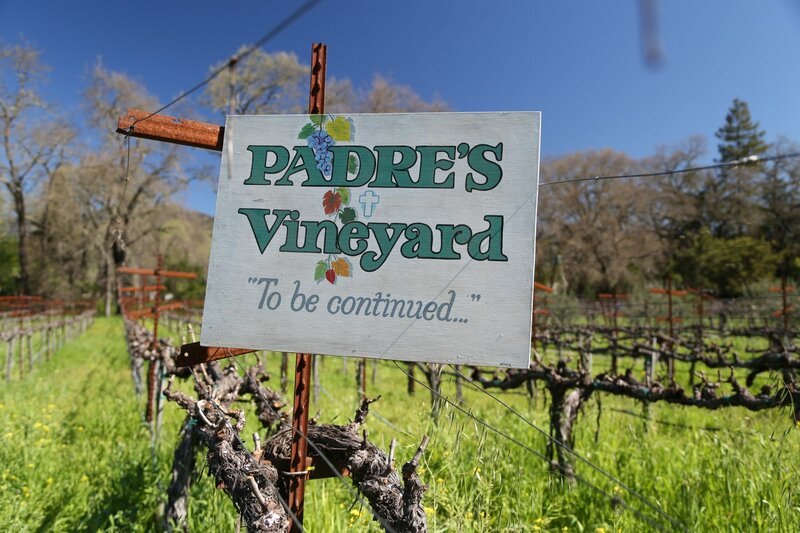 The Padre’s vineyard is named after and dedicated to several people who have been close to Bob and his family including his father, the priest who married he and Anna Marie, and Bruno, the Italian who painted the label (based off of vine on Bob’s property). The 2010 Padres’ Vineyard Cabernet Sauvignon shows medium to dark ruby color in the glass – with elegant aromas – a sweet core of fruit throughout the bouquet (cherry) with a hint of desert spices, perhaps clove. A rounded and even slightly creamy mid palate leads to a supple finish with velvety fine-grained tannins. The fruit lasts for some time but not necessarily the tannins. A light wood spice also lingers more towards the front of the palate on the finish. The 2011 Padres’ Vineyard Cabernet Sauvignon – this was a challenging year to make wine especially from the valley floor. Bob struggled with the aromatics of his initial barrels but then blended other lots from different parts of the vineyard into this wine and noticed a dramatic improvement in the aromatics. 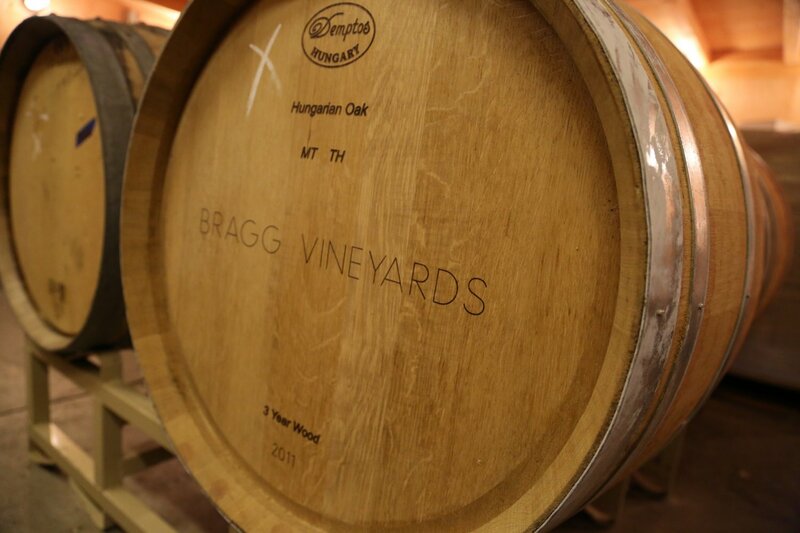 This wine has also benefited from some age (as we have noticed with some other 2011’s from the valley). The bouquet shows darker fruit aromatics – somewhat floral (dried rose petal) with a hint of dried herbs. Excellent acidity. Red cherry, perhaps a bit of red licorice shows on the palate – tending more towards red fruit then darker fruits. Seamless tannins. In 2014 Bob pulled out the vines from Mario’s vineyard and replanted – in 2016 he harvested a small amount of fruit. We barrel sampled this tiny production – despite being so young a wine and from such young vines, this already has the hallmarks some good fruit (good acidity, flavor and very young tannins). The 2009 Mario’s Vineyard Cabernet Sauvignon (named after and in tribute to the old Italian that Bob purchased the property from) reveals bright aromatics, a sweet core to the bouquet shows including a pleasing cedar box note. Lingering tartness with a more robust finish then the two Padre Vineyard wines we tried. Balanced but bigger. Oak spice, fine-grained but certainly noticeable tannins linger for some time along with a red cherry tartness. Clean tannins. Sometimes Bob will pour their wines at special tastings – including the Calistoga WineGrowers Food & Wine, Grand Tasting tasting in April each year. Bob and Anna Marie are also so generous donating a bottle or two to the San Francisco Jewel Ball, benefiting Lucile Packard Children’s Hospital, each year. One of the most sought after wines in our auction’s cellar. Beautiful people, beautiful wine. Great combination. Great article! I have been lucky enough to have tasted these wines and visit the property. A better experience in Napa Valley would be hard to find. Bob makes you feel so welcomed while sharing his passion with you. He and his wife Anna Marie are gracious hosts, who love to talk shop and add a few fun stories in between. This small production wine is not only fantastic, but a special addition to any cellar! We had the pleasure of visiting Bob’s house and vineyard in May during a visit from Oregon. We loved being able to taste out of the barrel! Looking forward to being members of their wine club and returning to the vineyard some day soon. Hope to meet Anna Marie next time!